There is a fairly common misconception: they say, air conditioners are very harmful, cause terrible diseases, and you can use them only with extreme caution. Children, in general, should be hidden from air-conditioners and protected children as far as possible. The vast majority of current dads and mothers, not to mention grandparents, have access to the pleasures of conditioned air already in adulthood, that is, they do not have the experience of communication-adaptation, which goes back to childhood. But air conditioning, like an achievement of civilization, has its pros and cons. They need to know: the advantages to using, the minuses to bypass. Very often we come across such cases when, after an incredible heat on the street, the child went into the air-conditioned room and after that fell ill. Here this miracle of technology is no longer to blame. This is because the baby is not yet ready for changes in temperature. Parents need to temper their child from childhood to avoid such cases in the future. If your apartment is completely sterile, the temperature is constant at one level, and the humidity is optimal, then in the future, your baby will feel good only in such conditions. If the temperature in the apartment changes frequently, and the house is not so clean, then the baby will be able to adapt to any such temperature changes and most likely such cases with air conditioning will not occur. 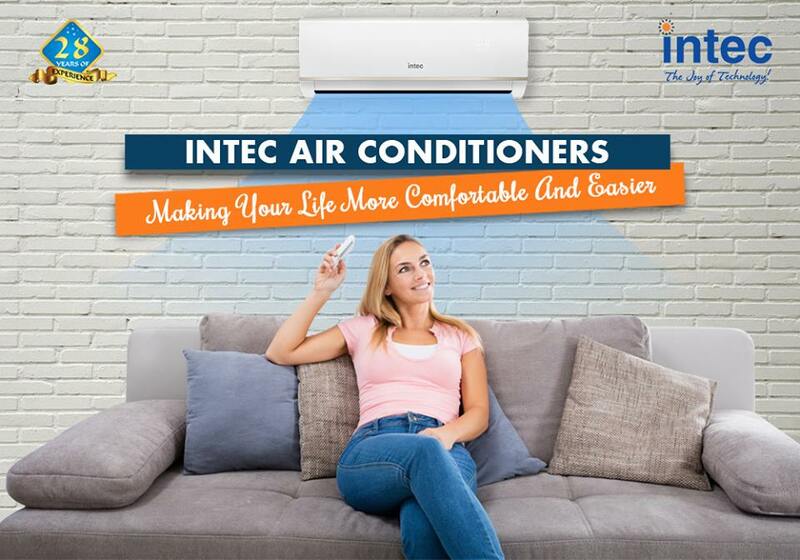 Do not forget about the warranty service of the device; it is essential to change filters promptly, monitor the operation of the Intec air conditioner. If you remember about this, your “savior” can bring into the house different bacteria or microbes. The principal characteristic of the child’s organism is the ability to adapt to external conditions, and the younger the child, the easier this adaptation takes place. If the conditioned air is a routine for a child from infancy, the child’s organism easily adapts to it. This is a universal law, and from the law follows a somewhat philosophical, but obvious rule: not to avoid, but to adapt, but to be able to use. Monitor the humidity of the air and, if necessary, use a humidifier. Do not forget that the air conditioner has filters provided by split air conditioner manufacturers in India that should be regularly changed or washed. Use the mode of smooth (slow) temperature change. Before working air-conditioner there is a zone of active movement of air, the size of this zone (usually two by three meters) depends on the specific model of the device. This must be taken into account, and at least not place a baby bed here. At least sometimes ventilate the room, of course, taking into account the weather and environmental conditions outside the window. Previous Article Why Choose An Air Conditioner With Inverter Technology?